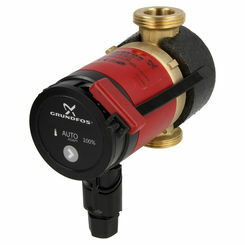 This Grundfos "Comfort PM Auto" hot-water recirculating pump (Part 98420223, Model UP10-16 A PM BN5/LC) assures that hot water is immediately but efficiently available at every faucet, fixture, and appliance in your home. The pump recirculates cooled water via return piping back to the water heater for reheating. The intelligent AUTOADAPT function of this model "learns" the hot-water consumption patterns of the home owners and adapts operation times accordingly. Once configured, the pump will only run when needed, resulting in a substantial reduction in wasted water and electricity. The Grundfos Comfort PM pump has two additional operating modes: Temperature Mode maintains an automatically detected water-temperature range within an individual system, and 100% Mode runs the pump non-stop at full speed. Regardless of the operating mode, this recirculating pump runs silently as it helps provide hot water on demand. 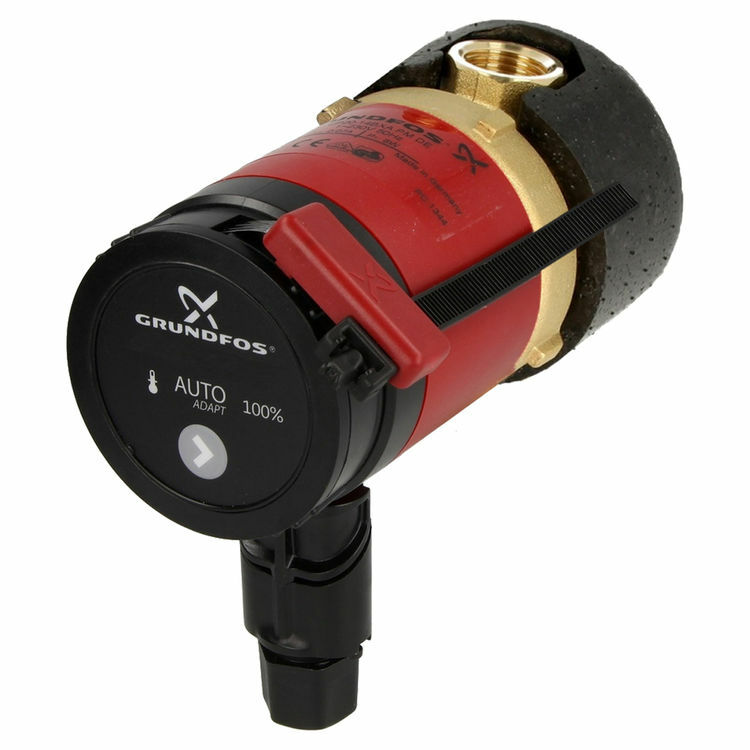 The Grundfos UP10-16 A PM BN5/LC pump with AUTOADAPT has a compact design that makes it easy to install in existing homes or new construction. 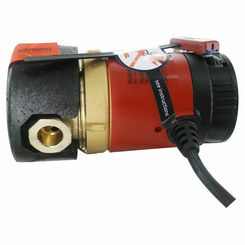 This 115V pump has a lead-free brass housing with 1/2-inch FNPT connections and includes a 6-foot line cord. The Grundfos Comfort PM consumes as little as 5-8.5 W, can save up to 16,000 gallons of water per year, and is backed by a 2-year limited warranty. Shipping Dimensions 4.0" x 6.3" x 7.5"
This model has 1/2-inch FNPT connections. Three operating modes: AUTOADAPT for the most efficient use of water and energy, Temperature Mode, and 100% Mode. AUTOADAPT function "learns" and adapts to homeowner's water temperature needs, ensuring that pump only runs when required. Whisper-silent operation with low-noise, permanent-magnet motor, which also reduces energy consumption to as little as 5 to 8.5 watts. Maximum comfort with lower wait times for hot water, reducing wasted water and electricity. 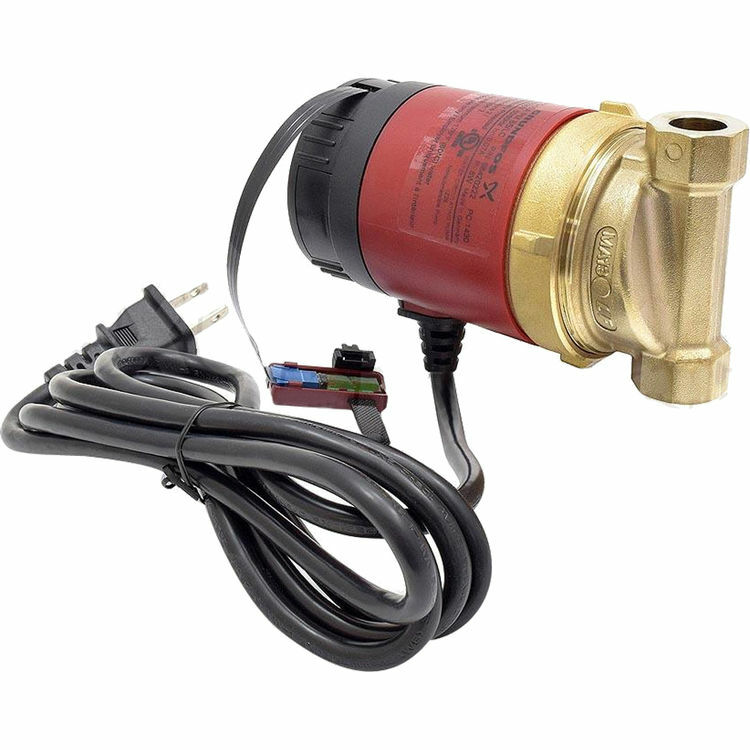 Compact design makes this pump easy to install, even in confined spaces; and the insulation shells help make installation fast. Integrated external sensor cable mounts simply onto the hot water supply line. Lead-free brass housing eliminates risk of corrosion. All products certified to NSF-61 and NSF-372 standards.